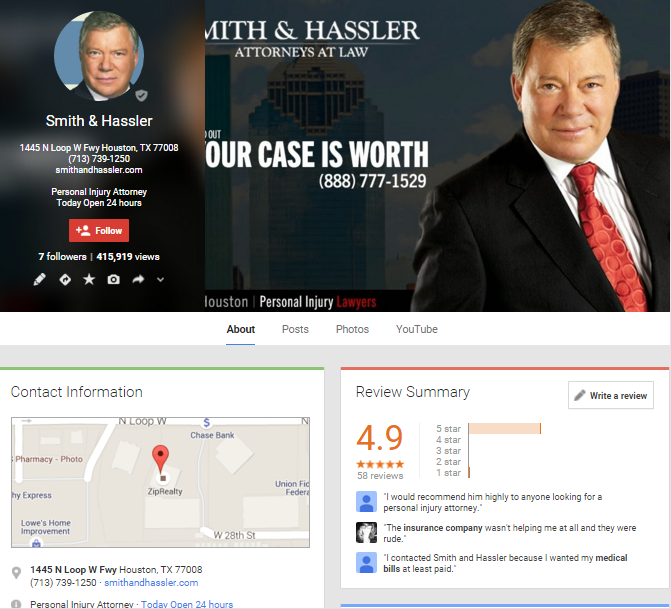 This week a client emailed me to inform me that his Google Plus Local Page is no longer showing his reviews. At first, I was confused. If you are logged in to Google (or Google+), the “about” page looks just fine. Then I discovered if you are logged out you get something completely different. You also get the new, different page in the “new Google+”. (November 17, 2015 Google updated Google+). 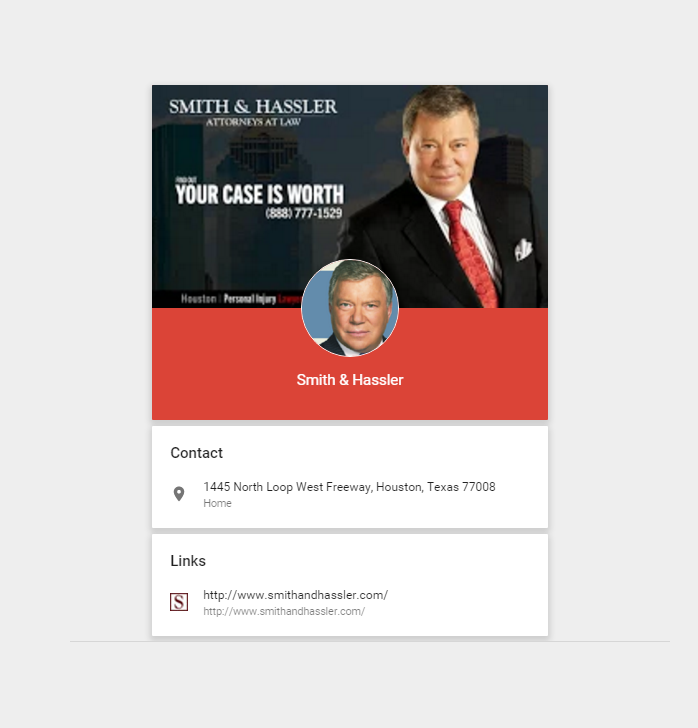 The new”About” page on Google Plus for Smith & Hassler Attornes at Law. Did Google notify business owners of this change? This and many other questions will be answered on my page: Current Google My Business changes. I know. I know. You got your maps page claimed. Then you made a Google+ Local Page. Then your Maps Page generated its own Local Page. Then you got the pages merged. Then everything became Google My Business. Then when you thought everything was running correctly, the unbundle it again. Will it be renamed again? At this point, who knows.